Although there's a lot going on with this dress, "dainty" is the first word that comes to mind when describing it. Sizing: The dress runs large; I'm (shockingly) wearing a size 2 above. Tip: The back of the dress is open, so if you work in a really conservative office, it might not be appropriate. But, it's Friday, so I feel comfortable wearing the dress to Local Marketing, Inc. (LMi) today. I'm looking forward to the weekend, because tomorrow evening, I will be attending my 20 Year High School reunion. 20 years... I still can't believe I graduated that long ago. I've been thinking a lot about my high school years over the past few weeks as the reunion date has neared. 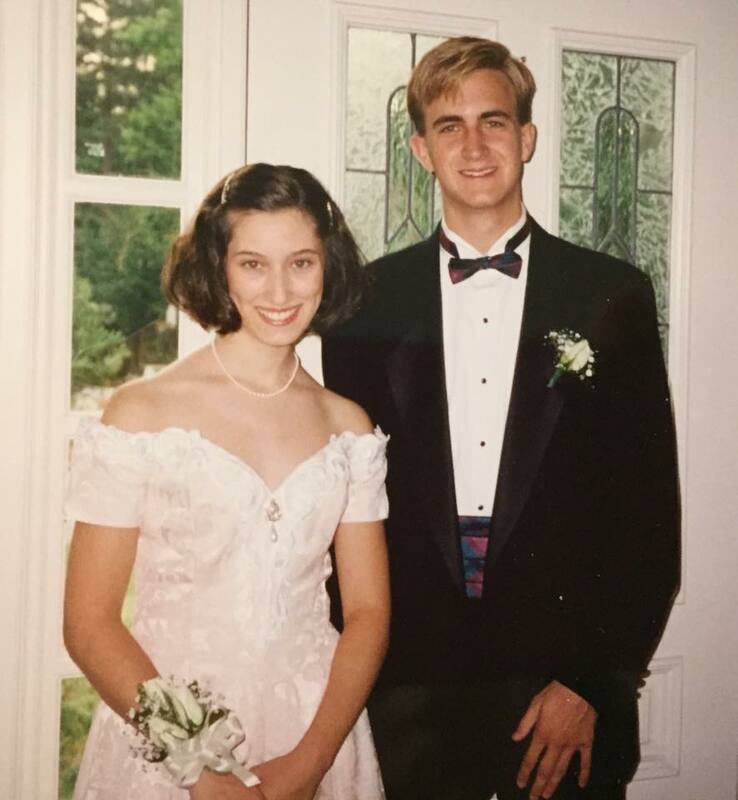 People from my class have been posting personal photos from 1992-1996, when I matriculated at Chattahoochee High School, and it's made me realize that -- regardless of our popularity level -- we all found our niche. Each person found a way to "survive" high school, and -- at least for me -- I know those experiences helped craft the person I am today. 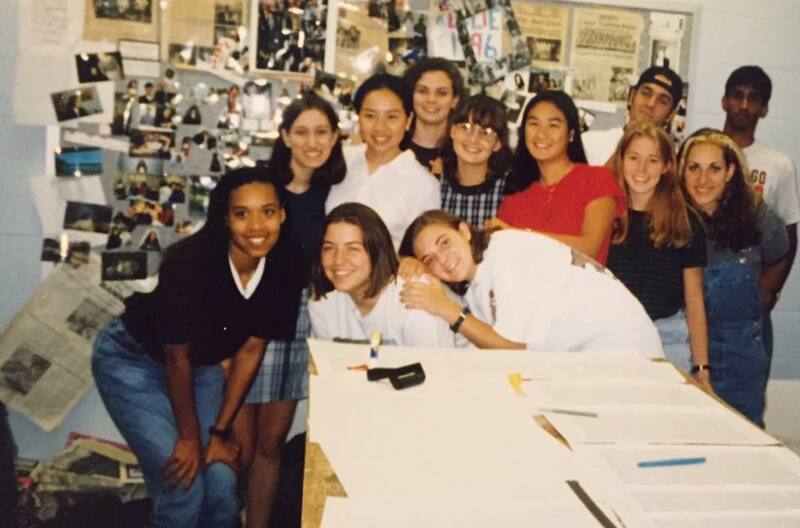 For example, my senior year I was co-Editor-in-Chief of my high school newspaper, The Speculator. My partner in crime, Lindsay, was much more outgoing than I was; she was the stronger leader, but I was a stronger writer with a lot of ideas on how I wanted to shape the paper and the stories I wanted to tell. The two of us worked so well together as a team... and I think I have a similar relationship today with my business partner at LMi. The Oklahoma City bombing in 1995; I remember so vividly watching Coach Crooks, my AP U.S. History teacher, rolling a TV down the hallway so he could have the news on in his classroom. I didn't know then what happened, but I knew it couldn't be good. The day the OJ Simpson verdict was returned; we just happened to be out of school that day, so I watched the verdict read live on TV. I remember shouting at the television set in our living room, flabbergasted and outraged that a killer was going free. The morning I walked into school and was herded into the cafeteria; the school didn't have heat, and a little while later, we all went home, a surprise day off in the middle of the week. The Blizzard of '93; I remember watching in horror as the snow piled up outside. My family and I were supposed to go to Texas to celebrate my grandparents' wedding anniversary, but got snowed in. School was out for several days the following week. The year the first trailers showed up at school to support our burgeoning population. I remember having math class in one, which made me hate it even more. Math was not my strong suit! The excitement over school events, like Prom and Homecoming. Senior year, I went to both those events with friends, and probably had more fun despite not having a date. Junior year, I did have a date! Gosh, my hair was so short. 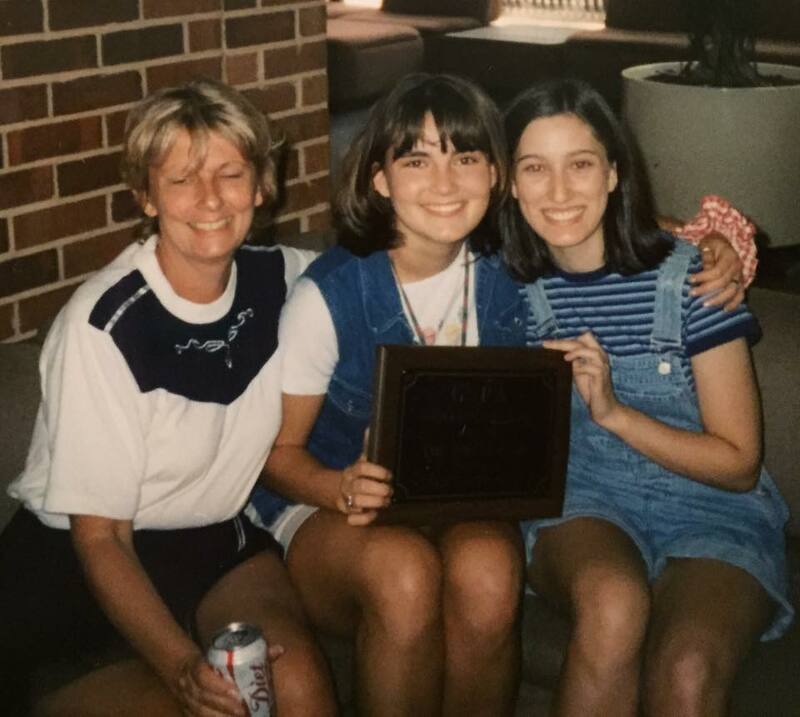 I look forward to tomorrow night and toasting those high school memories (and more) with old friends, because -- despite all the difficulties -- I'm proud of my high school self. I studied hard, but still had fun, and I found friends that are still among my best friends today. High school wasn't easy, but it sure is fun to look back on those days and smile. Love todays dress, and I think that your prom picture was very sweet !